Letting go of the Centreville carousel. Toronto’s islands and mainland waterfront have a long history of amusement, dating back to the nineteenth century, including parks at Sunnyside and Hanlan’s Point. The park at Centre Island is the only one remaining. Centreville’s carousel was built in 1907, by the G. A. Dentzel Carousel Company, of Philadelphia, and purchased by Centreville in 1966. It features an eclectic mix of fifty-two hand-carved animal mounts, including ostriches, house cats, and, of course, horses. Only a hundred and fifty carousels like it remain in the world. Severe flooding on the islands this summer forced Centreville to remain closed for most of the season. Representatives of William Beasley Enterprises, the company that runs the park, said selling off assets such as the carousel became necessary to make up the six million dollars in damages and eight million dollars in lost revenue Centreville suffered. 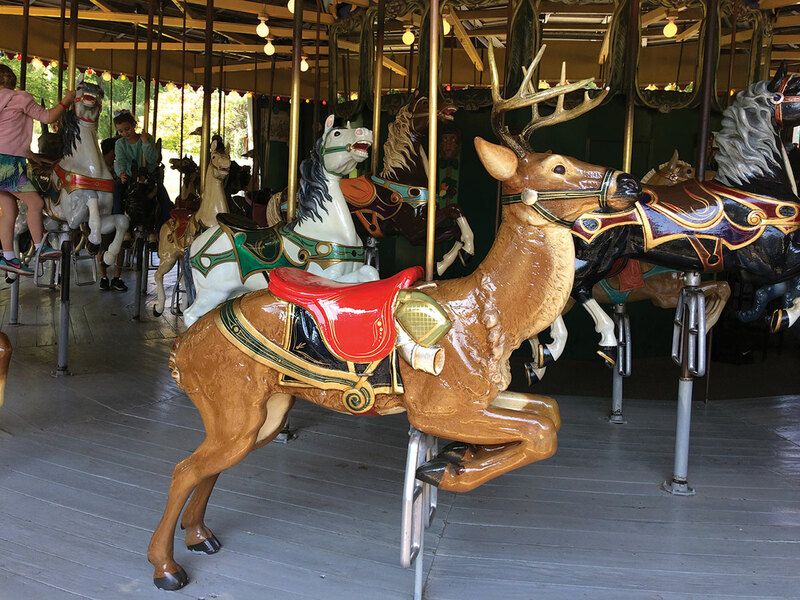 As a result, officials from Carmel agreed to purchase the carousel for three million dollars, but, in late September, that city’s finance committee voted down the purchase, and the deal was cancelled. Beasley said it planned to look for another buyer.